Whether it’s a customized tour for your family or a group of friends and loved ones, Alpine Eco Trek organizes a Small Group Tours to Mountain Kailash. Located on a desert plateau in Tibet, holy Mount Kailash and Mansarovar Lake attract thousands of Hindus, Buddhist and Jains from all over the world every year. 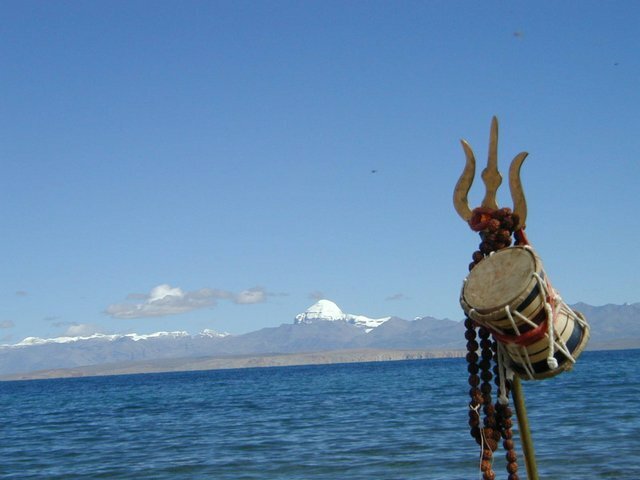 According to Hindu Mythology, whoever visits the Mount Kailash is cleansed of his/her sins?. The spiritual journey starts from Kathmandu, land of most sacred and worshipped Pashupatinath Temple or Lhasa, also known for “The Lands of the Gods”. This journey also gives you an exceptional opportunity to upgrades one step closer to the highest mountains in the world and to explore the places of historic values which are still standing tall. Join fixed departure tour with the highly rated Alpine Eco Trek. 12th May 2019 arrive Kathmandu, 14th May fly to Lhasa (Full Moon on Saturday, 18th May 2019 at Mansarovar Lake). 18th May 2019 arrive Kathmandu, 20th May 2019 fly to Lhasa (Non Full Moon Trip). 11th June 2019 arrive Kathmandu, 13th June 2019 fly to Lhasa (Full Moon on Monday, 17 June 2019 at Mansarovar Lake). 18th June 2019 arrive Kathmandu, 20th June 2019 fly to Lhasa (Non Full Moon Trip). 10th July 2019 arrive Kathmandu, 12th July 2019 fly to Lhasa (Full Moon on Tuesday, 16 July 2019 at Mansarovar Lake. 25th July 2019 arrive Kathmandu, 27th July 2019 fly to Lhasa (Non Full Moon Trip). 09th Aug 2019 arrive Kathmandu, 11th Aug 2019 fly to Lhasa (Full Moon on Thursday, 15 August 2019 at Mansarovar Lake). 22th Aug 2019 arrive Kathmandu, 24th Aug 2019 fly to Lhasa (Non Full Moon Trip). 08th Sept 2019 arrive Kathmandu, 10th Sept 2019 fly to Lhasa (Full Moon on Saturday, 14 Sept 2019 at Mansarovar Lake). 17th Sept 2019 arrive Kathmandu, 19th Sept 2019 fly to Lhasa (Non Full Moon Trip). 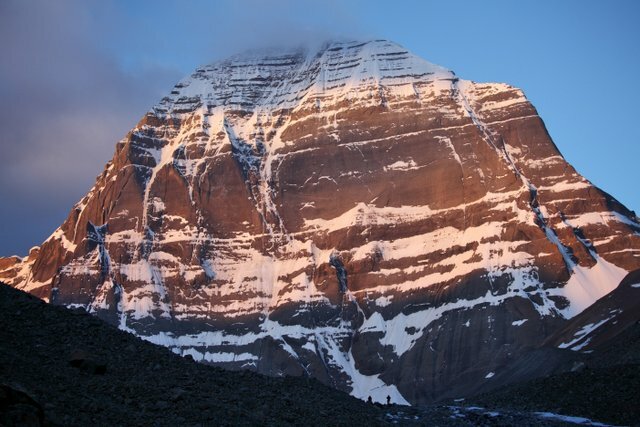 The detailed itineary of Mount Kailash Tour small Group Fixed Departures Tour is below. The lifetime journey starts with a single step by choosing your best available date. Once you are ready with availability, please let us know by email or call and we will guide you on this journey. Day 01: Arrive at Kathmandu airport (1350m) (B). Day 02: Rest and Packing day in Kathmandu (B). Day 03: Fly from Kathmandu to Lhasa (B). Day 04: Lhasa Sightseeing (B). Day 05: Lhasa to Sigetse (3950m) 350 kms- 9 hrs (B). Day 06: Sigetse to Saga (4550m) 450 kms- 10 hrs. 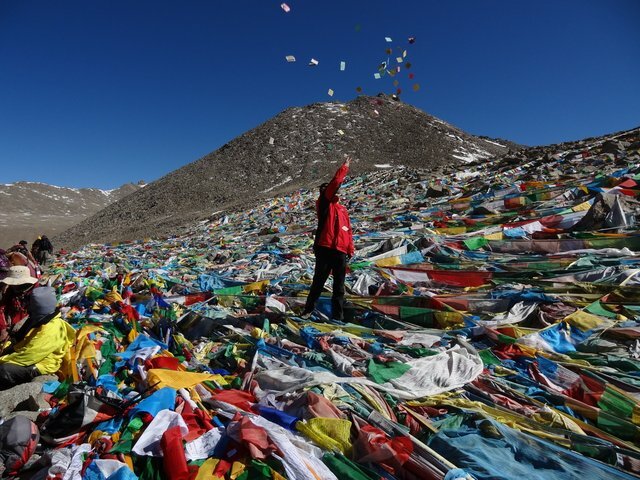 Day 07: Saga to Dongba, PRAYANG then MANSAROVAR (4550 m) 470 Kms 9 / 10 hrs (B,L,D). Day 08: MANSAROVAR to DARCHEN 45 km drive - one hour (B,L,D). Day 09: Kora start from Today: we trek from Darchen to DIRAPHUK (4720m 7hrs trek (B, L, D). Day 10: DIRAPHUK to ZUTHULPHUK GOMPA (4790m) (B,L,D). Day 11: ZUTHULPHUK to DARCHEN and then to Saga (B, L, D). Day 12: Saga to Sigetse 9 hours drive (B). Day 13: Sigetse to Lhasa (6 hrs) (B) 350 KM. Day 14: Fly from Lhasa to Kathmandu. Day 15: Final transfer to international airport for your flight back to home. This is a small group tour with minimum 4 to 10 people max, for Kathmandu, Lhasa, and up to Saga you will be sharing a double room with other fellow traveler, from Saga to Kailash and back to Saga the room will be dormitory, there will be 5 to 10 beds in one room that you will have to share! If you like to have a single room in Kathmandu, Lhasa, and up to Saga please let us know we will be happy to make you a single room reservation with little extra cost on top!. Alpine Eco Trek highly suggests you to apply for Medical Insurance, covering emergency evacuation and all medical expenses are must for Mount Kailash and Mansarovar tour. So, please be insured prior to the holy journey to the Heavenly Abode of Lord Shiva. Meals during your stay in Kathmandu are provided in package at the same hotel where you stay. Meals during the journey will be all vegetarian. Alpine Eco Trek's staff will serve you hot and delicious meal at every day breakfast, lunch and dinner on the way in Mount Kailash tour. We will provide you packed lunch while doing Kora around Mount Kailash. And, we also suggest you to bring some of your favorite dry foods, sweets and ginger and garlic Candies along the tour. We will provide transportation for Mount Kailash tour depending on group size like if there are below 5 we provide a Jeep, if 5 to 08 we provide a Van, if 08 to 16 we provide two vans, if above 16 up to 25 people we prove a deluxe bus. Upon your arrival at airport, one of our tour leaders from Alpine Eco Trek will greets you and transfer to hotel, short briefing about your trip, rest of the time will be on your own.. Overnight at hotel, breakfast included. Breakfast will be at hotel, today you will be busy doing packing and shopping, we will collect the Tibet Visa showing your original passport (that is already issued with copy of your passport) from Chinese embassy here in Kathmandu. Overnight at hotel, breakfast included. After breakfast at hotel, we will drive to airport and fly to Lhasa, upon arrival in Lhasa airport, our Tibetan guide will greets you and transfer to Lhasa city for overnight stay at hotel. Evening walking around bharkhor Market. Overnight at hotel breakfast included. Sightseeing in Lhasa (Potala Palace, Jokhang Temple, and Bharkhor Market). We will take the tour in Lhasa while acclimatizing. Overnight at hotel, breakfast included. After breakfast at hotel drive to Shigatse which is the 2nd largest city of Tibet. Built in 1447 by the first Dalailama the Tashillunpo Monastery in Shigatse is a very important monastery in China as it is known as seat of the Panchan Lama. Overnight at hotel, breakfast included. Day 06: Shigatse to Saga (4550m) 450 kms- 10 hrs (B,L,D). We take an early morning drive to Saga, please note this will be a long drive but on the way we can make enough stop and lunch. Overnight at hotel in Saga, breakfast, lunch and dinner included. This morning depart from Saga to Manasrovar, it is 470 km. The road is good and the trip can be complete in 9 / 10 hrs. There will be several river crossings and we drive past Mayum La Pass (4600m). The scenery is stunningly beautiful with panoramic views of the Himalayas. This is an auspicious day for all of us having first glimpse of the Holy lake Manasrovar and view of Mt. Kailash from The Horr Chu pass. Stay in Chiu Gompa, a beautiful place to be. Overnight at guest house at bank of Manasrovar, breakfast, lunch and dinner included. Take a dip in to Manasrovar lake in the morning, be ready for Puja and Haven, after finishing the rituals activities, we start Manasrovar Lake Parikarma then drive to Darchen. Overnight at guest house in Darchen, breakfast, lunch and dinner included. After breakfast we drive up to Tarboche and trek to Diraphuk Gompa (north face of Kailash), and a close up view of Holy Kailash (North face). We head west in clockwise direction and after a few kilometres the trail climbs up to a cairn at 4730m from where the southern face of Mt. Kailash comes to view. Pony & Pony men will be waiting here if you would hire them. Porters are available to carry your bag packs. This day Parikarma is about 20kms. Overnight at local Guest house in Diraphuk, breakfast, lunch and dinner included. The 2nd day of Parikarma (Kora), which is very sensitive and every pilgrim talks about the most challenging journey throughout the Yatra. Parikarma continues and we trek (18 kms) up to Dolma la Pass, which is 5800m above the sea level. We will offer very short prayers at Dolma la. The weather is unpredictable in Dolma la Pass and at any time there is a possibility of a snowstorm. En-route, we can have darshan of Gauri Kunda (5630m) where Hindus worship and immerse themselves in the icy waters of the lake. Overnight in Local Guest house, breakfast, lunch and dinner included. The 3rd day of Parikarma. After Breakfast, we will trek around 10 kms to complete the 3 days circuit trek of Mt. Kailash. We will be reaching at the point, where our van will be waiting to drive us back to Saga. Overnight at hotel in Saga, breakfast, lunch and dinner included. Day 12: Saga to Shigatse 9 hours drive (B). Beautiful drive back from Saga to Shigatse , Overnight hotel, breakfast included. Day 13: Shigatse to Lhasa (6 hrs) (B) 350 KM. After breakfast we drive to Lhasa. Overnight at Hotel, breakfast included. Early morning transfer to Lhasa airport, fly to Kathmandu, one of our tour leaders receive you at Kathmandu airport and transfer to hotel, Breakfast included. 02) Hotel in Kathmandu three nights (before and after Kailash tour) with breakfast. 08) An English speaking guide, van and driver. 09) One day sightseeing to Potala palace. 10) Guest houses on the way to Kailash. 17) Government vat and taxes. 01) Lunch and dinner in Kathmandu, Lhasa and Shigatse. 04) Tips for guide and driver. Group size: Min. 04 to Max. 15 people. Visa: Tibet/China paper visa (we issue in Kathmandu). Trip Cost: USD 2250 per person including visa and 15 days tour package. Flight fares: USD 750 per person (Kathmandu- Lhasa- Kathmandu). 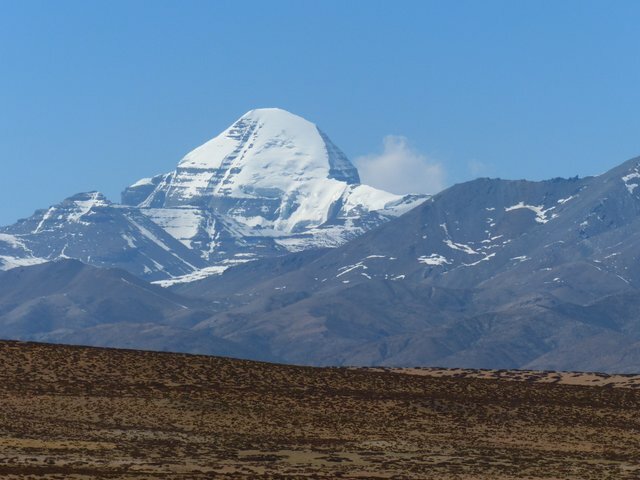 Note: The best season to Travel Holy Mt Kailash is from May to September; please try to travel always with a local and direct agent and small group – private departure dates available. All the travelers including Indian passport holders travelling to Mt. Kailash must be in possession of a current passport with at least 6 months of validity remaining.